Hello lovelies! Today I'm back with another post showing you what makeup I've been loving wearing recently! As always, I start by priming my face with the L'Oreal Paris Lumi Magique Primer and I always either buff this in using the Real Techniques Buffing Brush or I just use my fingers. I then apply my holy grail foundation which is the Laura Mercier Silk Creme Foundation in the shade 'Rose Ivory'. For my eyebrows I currently fill them in with the Quite Natural Paintpot from MAC using the MAC 266 Brush! And then I go onto eyes! First I apply Cork to my crease and blend it out using a MAC 217, next I apply Satin Taupe all over the lid and then I also apply a little bit of the shade 'Blackout' from the Naked 2 Palette to the outer corner of my eye and I'll blend it all together using a MAC 217. For mascara I'm really loving the YSL Shocking Mascara! After my eyes are done, I apply concealer! As usual, I always reach for the MAC Studio Finish Concealer in NW20. I'm obsessed with this concealer, if you're looking for a concealer that is full coverage, but still looks really natural, this is perfect for you! I always apply this with the Real Techniques Deluxe Crease Brush, it blends concealer so beautifully! And then I apply all my powder products! For face powder I just use anything I have handy! For bronzer I'm still really loving the Bourjois Délice de Soleil Bronzing Powder, I apply this all over my face because my face is so so pale compared to the rest of my body haha! Next I apply blush, as I said in my recent favourites post I'm obsessed with the Too faced Sweetheart Blush in the shade Candy Glow, I apply this to my cheeks and blend it up and then I apply the MAC Soft & Gentle MSF. And lastly for my lip products! 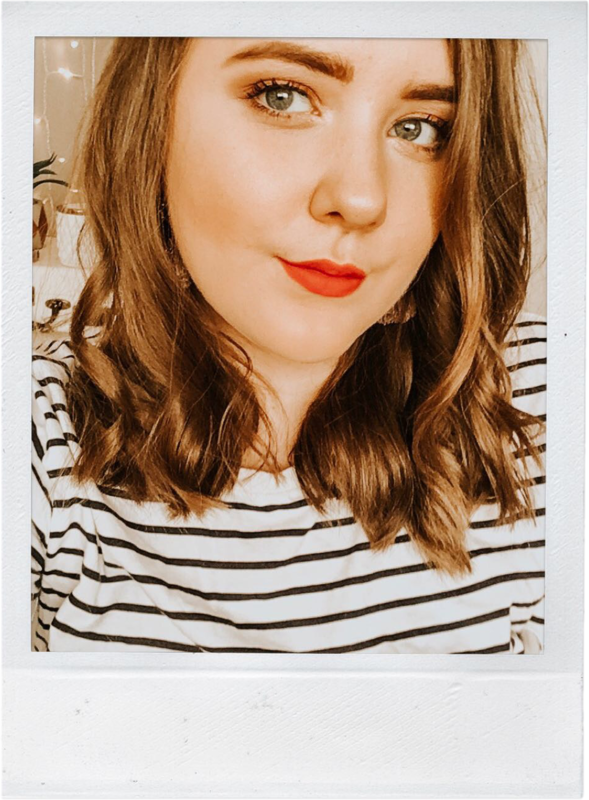 Firstly, I lined my lips with the Topshop Lip Liner in the shade Ceramic and for lipstick I used the YSL Rouge Volupté Shine in the shade 08 Pink in Confidence, and finishing it off I applied the Tanya Burr Lip Gloss in the shade Picnic in the Park! I always usually go for a bold lip, but this was a nice change! P.S - I just HAD to add the picture of me and Fred, he's too cute and this was the first time I attempted a milk maid braid! What Makeup have you been loving wearing recently? God I lovvveee the pictures so much!! The pale yellow of your sweater is so cute, definetly my favourite color and everything just harmonizes i dont even know i saw your pictures because i follow you on tumblr and I just love them I had to say this okay bye!! You are so pretty girl :) Love your hairstyle.